Clam Shrimp looks like a small round seed. It has two shells cover its body. Between the shells you can see two body sections below the head. The front section is the thorax and the back section is the abdomen. The Clam Shrimp has 14 pair of appendages that look like legs. The appendages help the Clam Shrimp to swim, but they are mostly used for collecting food particles and oxygen. 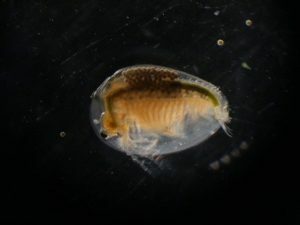 One “0” size capsule containing Clam Shrimp eggs hatch rate 85% / Eulimnadia Sp. The Clam Shrimp is yellow to brown. It is flat and about the size of a dime when it is fully grown. The Lentil Clam Shrimp is smaller and more round. It is shaped like a lentil (a small, flat pea). Habitat: Freshwater dams, ponds, lakes, lagoons, swamps as well as seasonal wetlands. 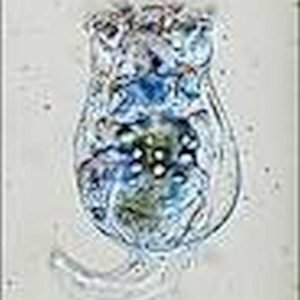 Size: Cyzicus up to 2 cm long, Lynceus up to 0.4 cm long. 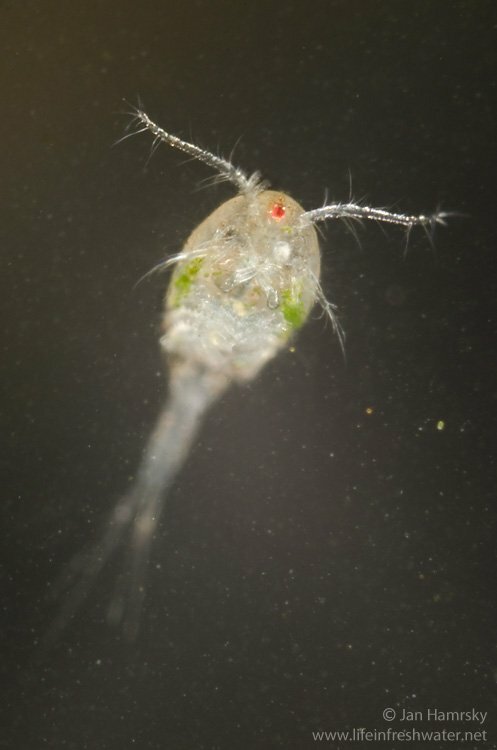 Hatch from egg: The clam shrimp hatch process is the same as the Fairy Shrimp. Put the eggs into chlorine free fresh water or bottled water and move the hatching container into sun light. 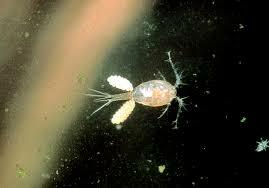 Ecology: Clam Shrimp are one of the largest crustaceans in freshwater pools. 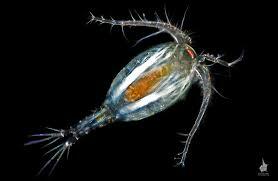 They live only in big or deep freshwater pools because they take a long time to mature and reproduce. Clam Shrimp are omnivores, meaning they eat both plants and animals. 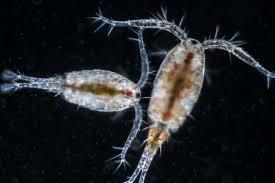 They eat Algae, detritus, Bacteria, Protozoa and Rotifers. The Clam Shrimp feeds in three ways. 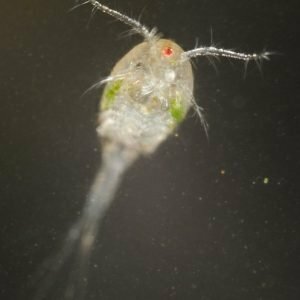 It can nibble on the Algae growing on plants or on the bottom of the water pool. It can bury itself in the muddy bottom and draw in food by waving its feathery appendages. 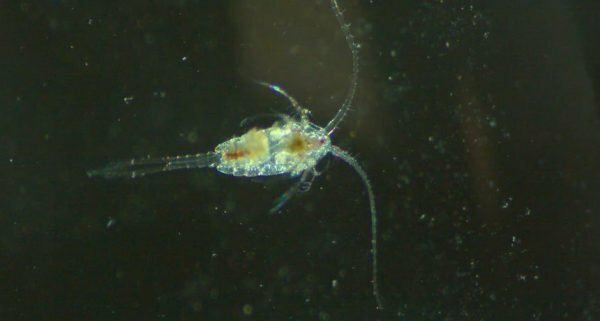 It can also swim and filter food as it moves through the water. Clam Shrimp are strong swimmers but they usually only swim short distances. Clam Shrimp are eaten by amphibians, such as Frogs, Axolotls and Salamander. The protein from Clam Shrimp provides very important nutrition for many types of freshwater fish and aquaria. 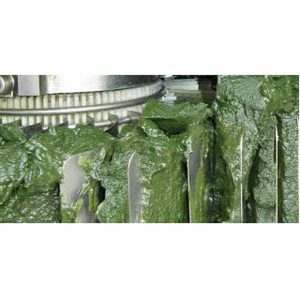 Investigate: Clam Shrimp filter feed in the same way as Fairy Shrimp and Artemia do. They also eat the same kinds of food. 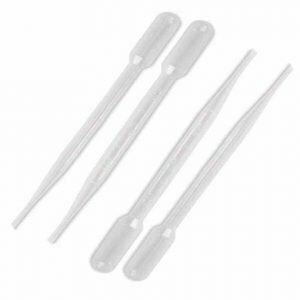 Transfer pipette Volume: 3 ml.